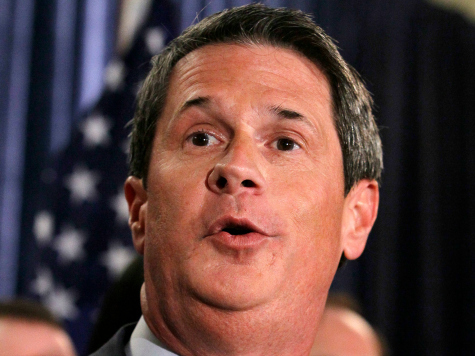 Common Core opponents in Louisiana have sent an open letter to U.S. Sen. David Vitter (R) asking him to end his surprising support for the controversial standards. The Senator, who is seeking the governor’s seat in Louisiana in 2015, has been viewed as a conservative Republican up until his open praise for the nationalized standards, for which support has plummeted throughout the nation. Breitbart News spoke with parent-activist and attorney Sara Wood, about the letter. Wood said she personally sent three emails herself to Vitter about her plans for the open letter and received “Thx” as his only response to her. “I really believe that he will soon learn if he has not already that he and his consultants have greatly underestimated the Pandora’s box that they opened with his statement in support of Common Core and the backlash still to come,” she said. Breitbart News received no response to a request for comment from Vitter’s office.